It’s time to welcome a new baby to the world…and you get to host the baby shower! How do you start? First you daydream, and in that mulling it over stage you decide on a theme for the baby shower. There are so many terrific possibilities! Next, you begin the real planning. Once you know where the party will be held, there are five main factors to consider: decorations; menu; activities; favors; invitations. Your theme choice will help you pull all of those areas together. Decorations don’t have to be elaborate or expensive, but they do make an impact on the ambience of the shower. Use banners, a wreath or something that relates to your theme as part of a visual welcome when guests arrive. The main food/dessert tables are typical party focal points so you’ll want to put most of your decorating efforts in those staging areas. A gift table will be another spot to embellish. Guests are most likely to be seated in a living room at a casual gathering, so choose two or three spots to tuck in smaller decorative ideas. Table centerpieces that relate to the main table decorations are appreciated at a larger venue. Finger foods and easy to eat choices are popular at showers. Reinforce your theme idea with menu options. For example, if you host a circus themed shower your food choices might include popcorn and corn dogs on a stick instead of the macarons and croissants you’d choose for an afternoon in Paris theme. The purpose of shower games/activities is to have fun together, so think of how to make your guests most comfortable as you choose what to include. There are a lot of game options and craft activities are a popular alternative. Decorating bibs and onesies have become favored possibilities. Be sure to have enough crafting materials for everyone to participate and know how to demonstrate the craft how-to! Party favors are a congenial way to say thanks for coming. Nail polish and small, spa-type gifts are trendy, but candles, notecards and special sweets have been popular for a long while. Cute hang tags, ribbon, tulle or other froufrou ramp up the “wow” factor. Electronic invitations are becoming common, but receiving a fun one through the mail generates more excitement for your party! Send an invite that harmonizes with the theme; for example, a diaper or bottle shape. The new mama will always remember this special occasion—that’s great inspiration for covering all the details it takes to plan a baby shower! For more specific ideas, check out my blog, Spaceships and Laser Beams! What theme will you choose for your next baby shower? Stephanie Keeping is mom to a boy named Sam, a blogger, and an Etsy-preneur. She celebrates boyish charm at Spaceships and Laser Beams, where she talks about all things boy and birthday party. You can connect with her on Facebook, Google+, Pinterest, Twitter and on Etsy. Thanks for the tips, I will have to plan one in a couple months for my friend so time to start putting the thinking cap on! Great to know!! I too will soon be doing planning one of these for a friend so thanks for sharing these wonderful tips with all of us. These are great tips!! Thank you!! Love parties, and as for baby showers the most wonderful and lovely gatherings together to welcome a new mom and a baby. 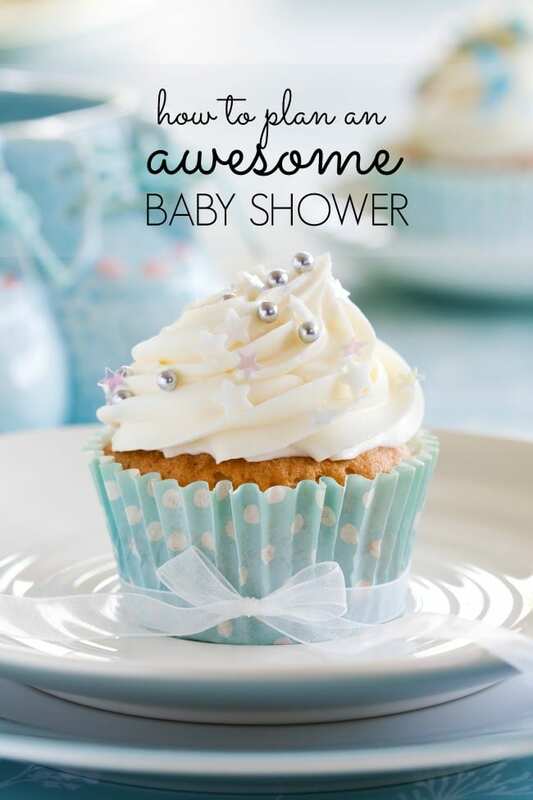 These tips would make a baby shower lots of fun. nice tips gathered together here. I’m sure that they’ll come in useful to a lot of people. I’ve never actually been to a baby shower, my children were all born in Germany where it wasn’t something that was done unfortunately. Im doing one for my Daughter end of March. I am always looking for more ideas. We will be having a baby shower this summer as I will be a Grandma again, so excited. I loved this post, thanks for the great ideas. Baby Showers are so much fun and such a delight to plan and attend. Great ideas, thank you for sharing.